.. once apart from the enormous benefits that you will gain by using such a software. Adding new tasks by double-click is more intuitive and smoother than typing them into a calendar or spreadsheed application. You can also specify constraints and dependencies to other tasks and define the availability and cost of resources. With every change, the software gives you immediate feedback and shows the impact on the project plan. You'll always have the project and the costs under full control. And all this is so incredibly useful, that you shouldn't renounce. by the quick and fluid work flow of this program. prevents your project from running out of the rudder. 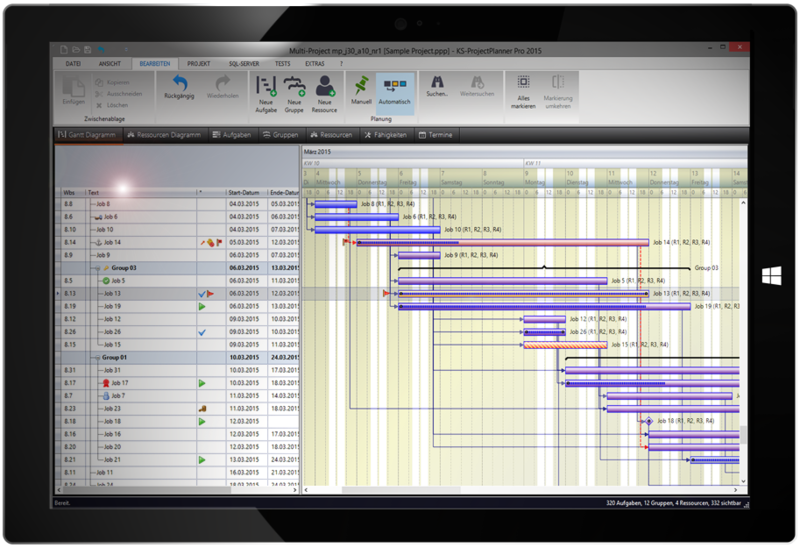 Once your project is running, the program takes account of status and progression of tasks. 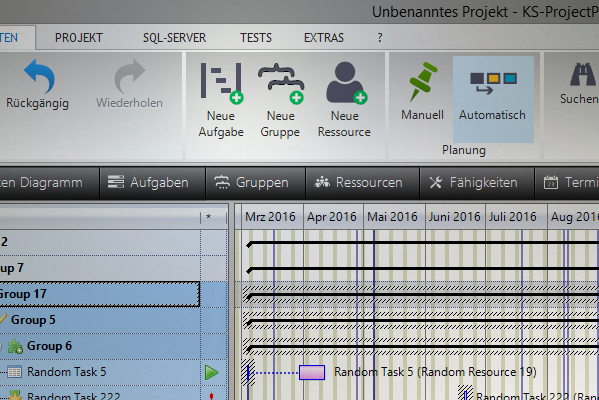 Projects can be optionally managed on a SQL Server. When an artist paints a picture, he starts with a big brush and puts the gross forms. In the following steps, he refines the painting and goes more and more into the details, until he finally puts the finishing highlights with a fine hair brush. So he works from coarse to fine. Start with a long task bar that extends over the entire project duration. Then right-click->Break down.. to subdivide this into finer tasks. Again break these tasks down to more detailed tasks, etc. 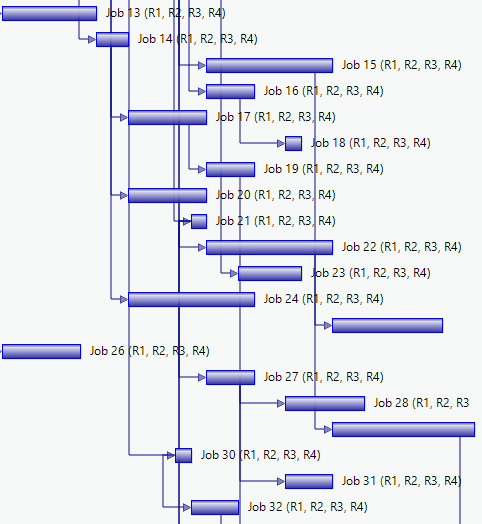 This way you can create even a large projects quite quickly in it’s basic structure. 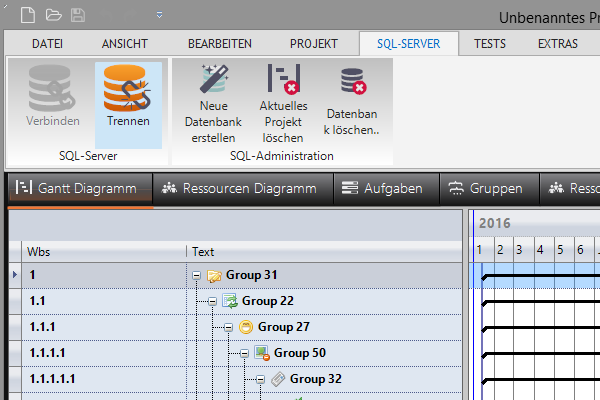 Rename the newly created tasks and groups directly in the data-table. With this basic structure, the program has also added dependencies all around with the tasks. Check these and add more dependencies where required. 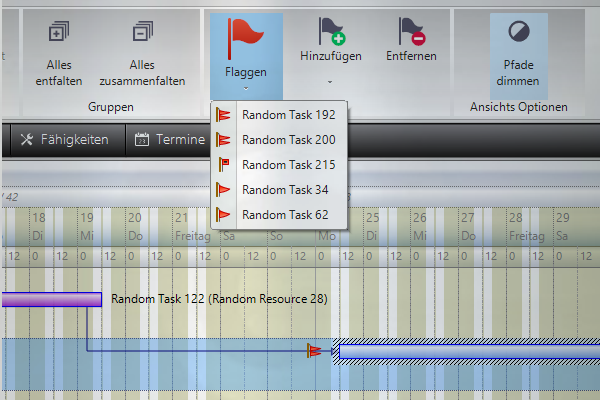 Now you can begin to set the estimated duration for all tasks, by dragging them at their right border with the mouse. You can use the ASAP function from the main menu to align all tasks (or just the selected) to the left, which is as soon as possible. Add some milestones to the project, which act like stage wins in a bicycle race, and make following tasks to depend on them. 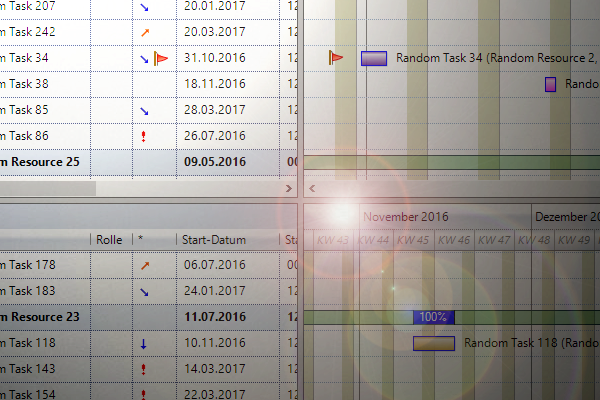 You can fix those milestones by setting their earliest and latest start date in the task dialog (double click to open). This way you can bind the entire project flow to these corner posts, without fixing all other tasks. 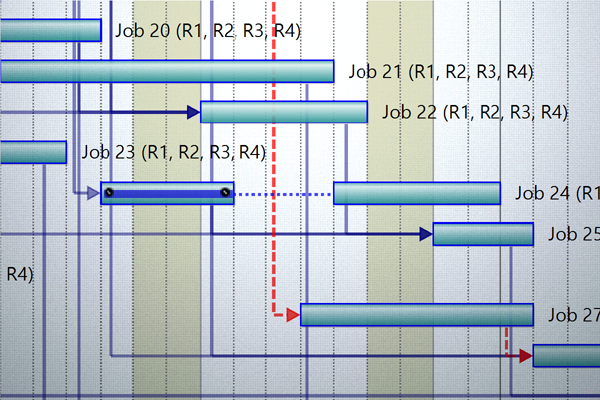 Also think, which tasks could run independently in parallel (at the same time). In the ideal case you’ll have planned some continuous strings from project start to it’s end. You should also add two more milestones at the project’s start and end. You shouldn’t fix the project end, unless it’s not a deadline, which must never be exceeded. 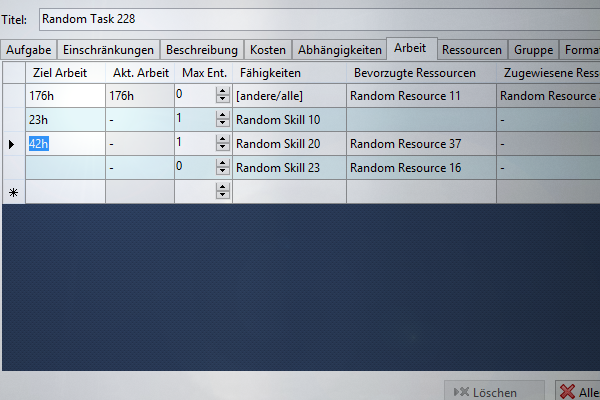 Now you can start assigning resources to all tasks, except for the milestones. Until now you have been in the planning stage. But in the moment, when you set the first task into ‘running’ state, the entire project definitely has begun and is now in tracking mode. The program reports this important step and add’s a first project baseline, which is a current snap shot, and which can later be compared with the actual flow. You can add more baselines at any time. Being the project manager, it’s your job to adjust all tasks and make them fit with reality. Some tasks may last longer than they were planned. Follow up tasks will shift forward automatically, due to their dependencies, and you can see the impact on the project plan and it’s costs immediately. 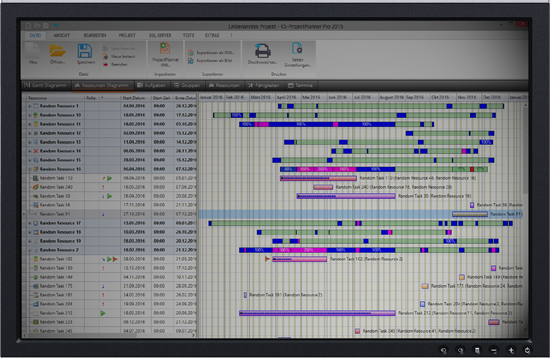 Now you can’t no longer move any tasks that already have begun, as you did during planning. They will instead start to split at their current point of progress. Tasks which are completed or cancelled can’t be moved at all, because they have to stay at their position to keep records of their performed work and costs. 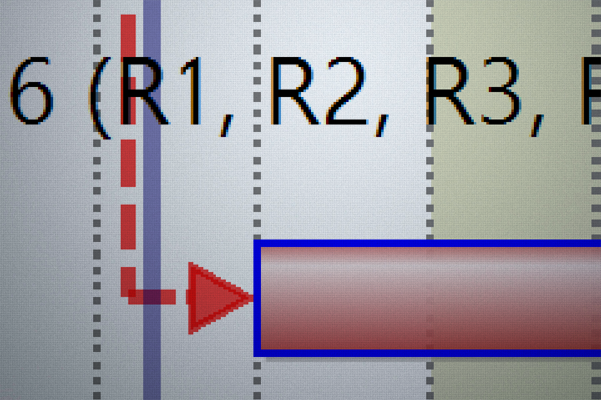 Critical paths are marked in red. 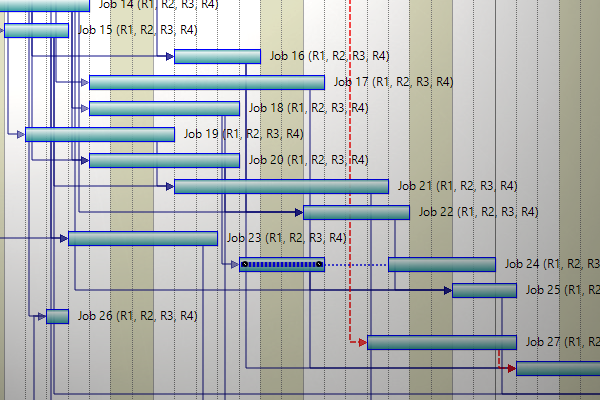 You should keep an eye on them, because a delay on the critical path will affect the total project length. Other paths that run in parallel, may be less critical. The way how you meet the milestones at their planned date can be a measurement for your success. But you shouldn’t plan the project too tight, and rather add some buffers, so that you finally have some breath for sudden incidents. Celebrate your success as the project manager together with the team and the customer. A typical milestone in the building craft is a roofing ceremony. The basis for successful planning remains in your own human experience. This is something that can’t be substituted by a software. And by analyzing completed projects and their baselines, you can extend this experience constantly. Also works very well on a Microsoft Surface Pro 3 tablet for planning and presentation. or if you want to learn more, please visit the online-help page. 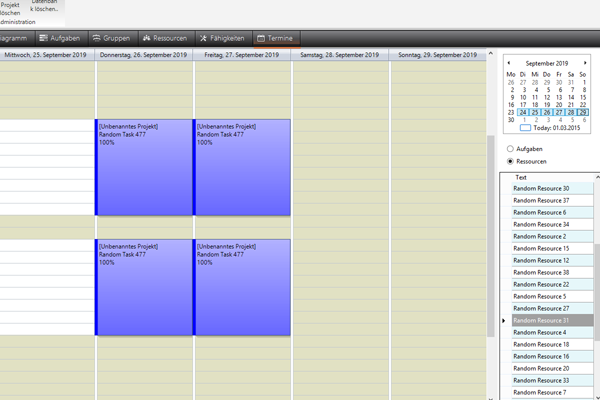 In the first releases, KS-ProjectPlanner was published as a freeware. There have been many downloads and user requests for more features. Many of the requested features are now realized in the Pro Version, which is promoted here. The screenshots show the essential innovations. The program has also become much more powerful. 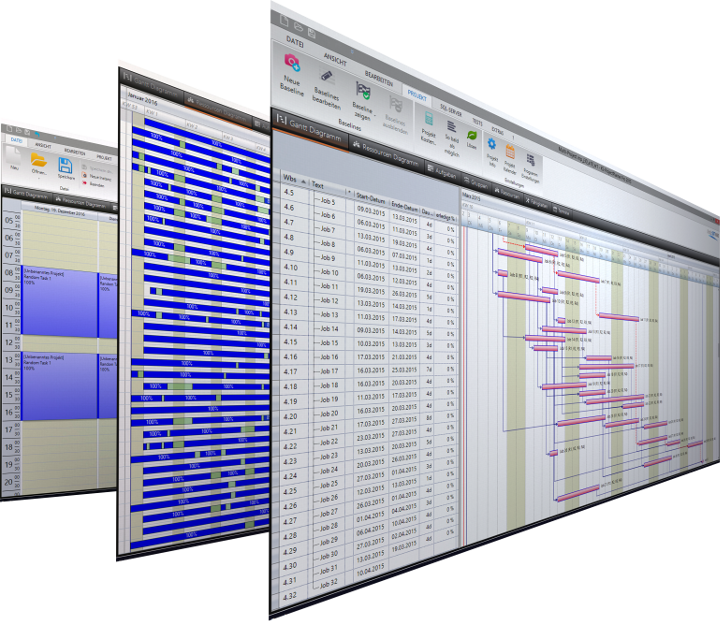 Where the freeware version could handle hundreds of tasks fluently, the Pro version can do it with thousands. 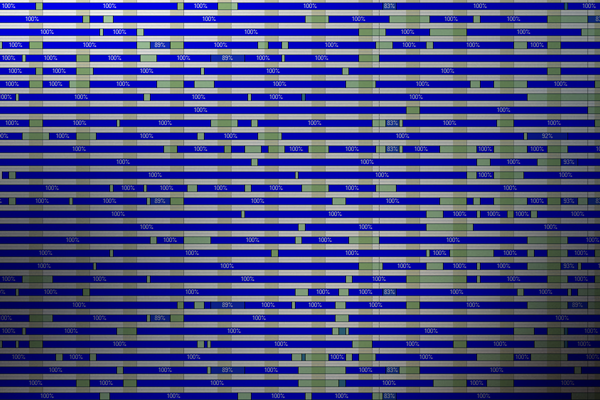 This was achieved by many optimizations and the implementation of sophisticated data structures. Some core calculations have been speeded up by the factor of one hundred. You can try out all program features with the demo. Only saving of projects is disabled. Upon your request by email you can get a free time limited license key, so that you can also test saving. Please contact Kroll-Software, when you have any questions. All prices are net amounts in EURO. For Swiss customers they are currently the same in Swiss Francs (add. 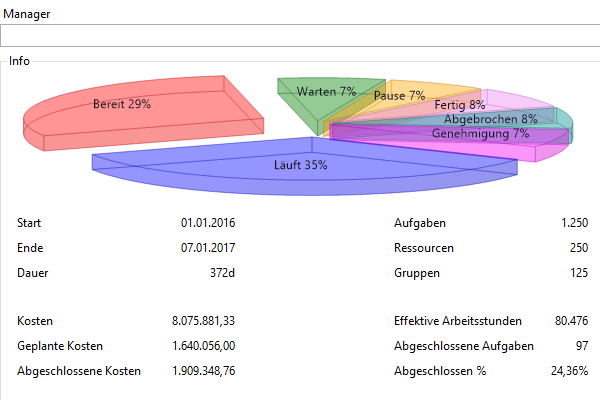 8% Swiss VAT), when ordering directly from Kroll-Software. All prices are a one time license fee without further obligations, no automatic subscription, no automatic renewal, or the like. The order buttons link to the reseller ShareIt! Digital River in Germany. Companies from the EU and Switzerland can also order directly from Kroll-Software by invoice/bank transfer. The Enterprise license is valid for an unlimited number of users at a single business location, or 25 users worldwide. This time management method is called a Pomodoro technique. You break down your project either into smaller parts or into intervals of time (25 minutes traditionally) separated by short breaks. Please write a message to Kroll-Software. Copyright © 2015 by Kroll Software-Entwicklung, Altdorf UR, Switzerland, All Rights Reserved. 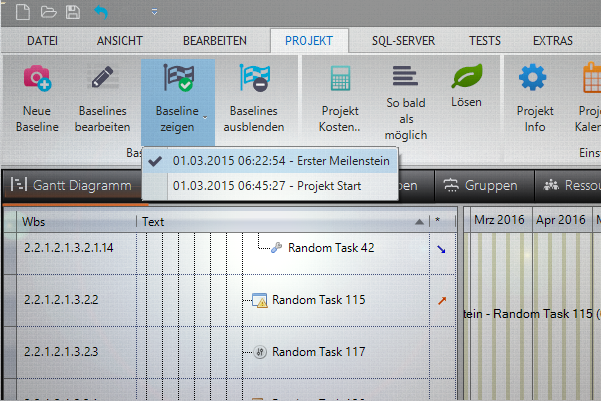 The product name is KS-ProjectPlanner, where KS stands for Kroll-Software. In some places on our website and in the documentation it may be simplified and just called ProjectPlanner, which still means in the context with our website, that it is the ProjectPlanner-Application by Kroll-Software and shouldn't be confused with other products from other vendors that accidentally have a similar or similar sounding name. All technical data can be changed without reason. The logos of Microsoft and its products are registered trademarks of Microsoft. Other products and companies mentioned are trademarks or registered trademarks of the respective company or license holder.